What is COPD (Chronic Obstructive Pulmonary Disease) and OSA (Sleep Apnoea)? COPD and OSA are both highly prevalent disorders. One in ten people with obstructive sleep apnoea (OSA) also suffer from COPD (chronic obstructive pulmonary diseases) which is termed as overlap syndrome. This implies that both disorders occur simultaneously. Both COPD and OSA are associated with same molecular and physiological consequences, such as systemic inflammation, that lead to cardiovascular issues and pulmonary hypertension. However, there are many points of distinction between both the disorders. COPD is also known as chronic obstructive pulmonary disease and is an umbrella term for the health disorders like chronic asthma, emphysema and chronic bronchitis and. All these diseases block airflow and make it difficult to breathe. COPD cannot be reversed. Symptoms include wheezing, shortness of breath or a chronic cough. Obstructive sleep apnoea (OSA) is the most common type of sleep disorder. It is defined as the intermittent airflow obstruction while sleeping. When someone with Obstructive sleep apnoea is asleep, the tissues in their air passage relax and can obstruct the airways. As a result, people stop breathing until the brain wakens them to start breathing again. Symptom includes snoring and day time sleepiness. It is defined as the damage caused to the lungs by a group of diseases which makes breathing difficult. It is a common type of sleep apnoea and is caused by complete or partial blockage of the upper airway. 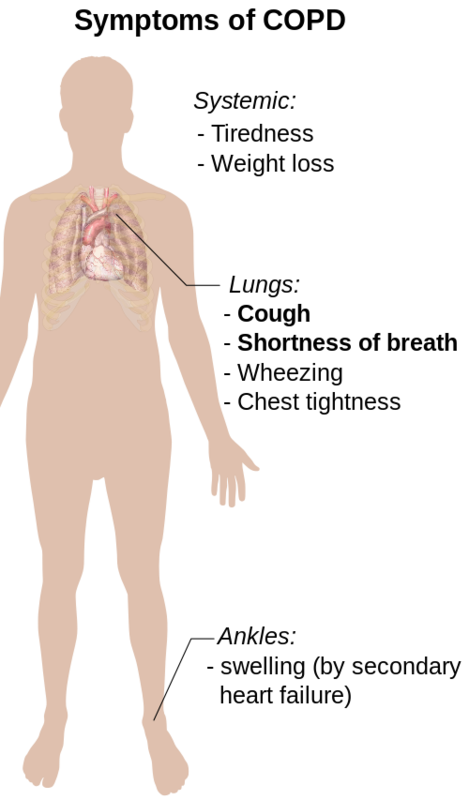 Emphysema characterised by damage to the small, sac like units of the lung that deliver air into the lungs and eliminate the carbon dioxide. Genetic factors including alpha 1 -antitrypsin deficiency. In adults the main causes of OSA include excess weight and obesity, associated with soft tissue of the mouth and throat. While sleeping, tongue and throat muscles are more relaxed and the soft tissues result in obstruction of the air passage. In small kids, the causes of OSA include enlarged tonsils or adenoids and dental problem like a large overbite. Some other causes include a tumour in the airway, and birth abnormalities like Pierre-Robin syndrome and Down syndrome. This occurs when your brain does not deliver proper signals to the muscles that control breathing. This is also termed as treatment-emergent central sleep apnoea, which happens when an individual has both OSA and CSA. Bronchodilators – These relax the muscles around your air passages to let more air into your lungs. Phosphodiesterase-4 (PDE-4) Inhibitors like roflumilast (Daliresp) can help with severe COPD symptoms. Theophylline – This drug works like a bronchodilator and is not pricey. It helps lungs to function better. Antibiotics – Antibiotics kill the bacteria incase there is an infection. Infection can make the COPD symptoms worse. Pulmonary Rehabilitation – The program helps in managing COPD. It helps improve your quality of life. Oxygen Therapy – Severe COPD blocks your airways and reduces oxygen levels in your blood. Oxygen therapy by mask or prongs, elevates these levels to help you stay healthy and active. Surgery – Bullectomy, Lung volume reduction surgery, Lung transplant. Lifestyle changes – Weight loss, quit smoking, regular exercises and do not sleep on your back. Positive airway pressure – In this treatment, a machine will deliver air pressure through a piece that is fitted into nose. This therapy reduces daytime sleepiness. Mouthpiece (oral device) – Oral appliances are helpful for people with mild or moderate obstructive sleep apnea. These appliances alleviate your sleepiness and improve quality of life. These devices also help in keeping your air passage open by bringing your jaw forward and help in breathing. Dr. Amita Fotedar -Dr. "Difference Between COPD and OSA." DifferenceBetween.net. November 12, 2018 < http://www.differencebetween.net/science/health/difference-between-copd-and-osa/ >. Balk, E. M., Chung, M., Moorthy, D., Chan, J. A., Patel, K., Concannon, T. W., ... & Chang, L. K. W. (2012). Future Research Needs for Diagnosis of Obstructive Sleep Apnea. Brouillette, R. T., Fernbach, S. K., & Hunt, C. E. (1982). Obstructive sleep apnea in infants and children. The Journal of pediatrics, 100(1), 31-40. Calverley, P. M. A., & Georgopoulos, D. (2006). Chronic obstructive pulmonary disease: symptoms and signs. European Respiratory Monograph, 38, 7. Fleetham, J. A. (2003). Is chronic obstructive pulmonary disease related to sleep apnea-hypopnea syndrome? American journal of respiratory and critical care medicine, 167(1), 3. Gillissen, A., & Seeger, W. (2002). Chronic obstructive pulmonary disease: treatment. Deutsche medizinische Wochenschrift (1946), 127(10), 510-513. Motamedi, K. K., McClary, A. C., & Amedee, R. G. (2009). 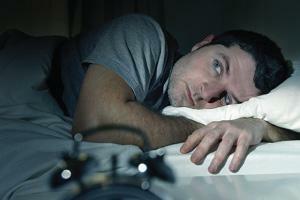 Obstructive sleep apnea: a growing problem. The Ochsner Journal, 9(3), 149-153.